Relentless by Tim Grover is a must read, especially for those who have been lulled into hiding their anger and dark side. Don’t hide it. Use it. Tim Grover talks about the mentality of the very top performers, the unstoppable ones whom he defines as “Cleaners”. He also talks about great performers, the “Closers” and good ones, the “Coolers”. Tim Grover starts with a powerful one-two when he says that from now on your strategy is to make everyone else get on your level. You’re not competing with anyone else, they will have to compete with you. Relentless is about never being content, about driving to be the best and then getting yet again to a whole new level, even if that level doesn’t exist yet. It’s about facing your fears and being feared and respected not so much for your physical abilities, but for your mental ones. And worry not if you feel out of sorts at times. You can always retreat to that secret place of yours where you’re always in total control. A place where there is no external pressure. Just your and your internal pressure to prove yourself, over and over. Because you want it for yourself, not for anyone else. 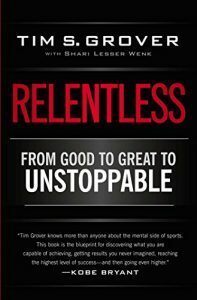 Tim Grover says Relentless means you’re never satisfied and you create new higher goals as soon as you reach your personal best. If you’re good you don’t stop until you’re great and when you’re great you don’t stop until you’re unstoppable. In Grover’s words being relentless means becoming a Cleaner. A Cleaner is not about stardom and bling bling, it’s about winning, and winning again and again. The Cleaner is addicted to success and is driven to do whatever it takes to win. And if that means breaking the rules, be it, because Cleaners are also rules breakers when they need to. The author says the Cleaner’s attitude is that you own it and control it. It’s not about the actual job you do, it’s about the attitude. Whatever you do, you take responsibility to make things happen because you always put yourself in the position to carry the load for everyone else. I loved the example Tim Grover has about the Cleaner’s bus driver who knows all the passengers and their schedule, is friendly and smiling but silently thinks “this is my fu**ing bus; it will be clean and on time, and anyone who messes with me or my bus will be back on the street walking”. Cleaners are calm and collected, never too high or too low, never too happy or depressed. A Cleaner doesn’t see problems but situations to be resolved (as in The Obstacle is The Way) and when he knows the solution he doesn’t explain it, but simply says “I got this”. Failure is not an option for Cleaners: even if succeeding will take years he will find a way and will not stop until he succeeds. Sounds great? Well, being a Cleaner also has a dark side, Tim Grover says. Cleaners also never stop working because it gives them too much time to ponder on their dark side and on what they had to endure and give up to get to where they are. A Cleaner is also consumed by his addiction which takes center stage above all else in his life. And that’s a conundrum for the Cleaner: he is all about control, so when the addiction is controlling him he’ll back off for a while. And then often come back with a renewed appetite. Cleaners get what they want, but pay it by being alone and rarely understood. The author says a Closer can handle pressure and he’ll get the job done if you tell him what he needs to do. He will prepare and study all possible scenarios so he can anticipate. Indeed, a Closer is uncomfortable with unexpected events he didn’t prepare for. Contrary to the Cleaner, a Closer loves and seeks attention and credit and is always paying attention to what others are doing and what they’re thinking of him. Money and fame are not so secondary for Closers, and he would choose financial security over winning. Tim Grover says a Cooler waits for the instructions, waits to see what all the others are doing and then follows the leader. He doesn’t take sides unless he has to and when things get too intense he kicks the problem over to someone else. A Cooler can make a great play, but he’s not ultimately responsible for the outcome. He leaves that to Closers and Cleaners. Closers can have an amazing season. Cleaners make the competition study them; they don’t care whom they’re facing, they know they can handle anyone. Coolers let others decide whether they’re successful; they do the job and wait to see if you approve. Cleaners never feel as if they’ve achieved success because there’s always more to do. Tim Grover says the mind comes first. First you train your mind, then your body will follow. Every single day you gotta put in the work and push past your fears and laziness and learn to be comfortable doing the uncomfortable. Cleaners do the hardest thing first and they always focus on the destination, not on the hardship to get there. How do you do that? Well, you gotta crave the result so intensely that all that stands in between is just a mean to an end. Every time you think you can’t, you have to do it anyway. That last mile, the last set, the last 5 mins on the clock. You have to control your body, not the other way around. The zone has become a buzz word, but what does it even feel like? Tim Grover says that in the zone you don’t hear anything. Your only emotion is anger. But it’s never bursting out, it’s quiet anger, simmering under your skin like a stealth predator waiting in ambush. The zone is deeply calm, but not peaceful: it’s intense focus. Tim Grover says he can’t stand athletes saying they switch on when they’re under the spotlight, because when you’re in the zone you shouldn’t even notice the spotlights -or need them, for that matter-. Of course your next question is how to find the zone I suppose :). The author says we all have triggers for it and it’s different for everyone. However, the key is that it always comes from your dark zone. Start with your past performance first: have you ever been in the zone? What have you done to get there? Or maybe you can think about your past, about a wound you still have open. Or about someone screaming at you, or scathingly criticizing you. Tim Grover says for some it can be questioning their manhood or ability and for some it’s physical confrontation. Sometimes to reconnect his athletes with their instincts Tim Grover would play old music to bring back childhood memories, taking them back tom whom they used to be before there was any pressure to be different. And when he gets it right, the heart rate drops instantly a few beats and there’s always a smile. Then he knows it’s working. A Cleaner doesn’t get emotional but stays cool and calm saving all his energies for when it matters. The only exception to showing emotions is if it will help him win, not because he lost control. Tim Grover says that before game time he doesn’t want to see players screaming and dancing and building each other up emotionally: it’s a flash in the pan and if you start too hot you can only turn cold. He takes Michael Jordan demeanor as an example and how he’d avoid any physical contact. Just a fist bump or a subtle high five, very subdued and never making eye contact. Grover is quite firm in outlining that emotions make you weak. The fastest way not to get into the zone is to let emotions drive your actions. The only notable being exception is anger -the anger you can control and channel-. Fear and nervousness are also always a big topic when it comes to performance in key moments. Tim Grover says that Cleaners also get nervous. Michael Jordan admitted he had butterflies before big games, to which Grover would reply to get them going in the same direction. Butterflies are not going away, but your task is to use them to make you better. Energy instead of emotions. Big difference. Tim Grover also suggests another great way to deal with fear and butterflies: a routine. You practice the routine before your performances and it should not vary, whether it’s a meaningless friendly game or a final. Stick to your routine and and never tell people “leave me alone because I got big stuff coming up”. That’s the worst you can do because you have just become emotional. Tim Grover says that players always ask him what to think before the free throw. He says it has to be something personal and ideally, if you’re truly in the zone, you think of nothing: it’s just you and the task, as if you were alone in the world. Or he suggests you tell yourself “it’s just a shot, not the end of the world either way”. Alternatively, if you have to go somewhere in your head, he suggests to go somewhere positive, like your kids or anything relaxing and happy. The calmness of being in the zone reminds me of the 2006 World Cup final penalty shootout. The World Cup is the biggest sport event and shootouts are the tensest moment. With his characteristic vivid language Tim Grover tell us that when a previous Cleaner falls out of the zone it’s as if he went from a silverback to a pussycat. Interestingly, Grover says it usually happens when the dark side of the Cleaner’s life has been somehow rocked, for example by becoming public through a scandal. And how do you get back in the zone from there? Either something catastrophic happens to re-build the dark side, or your are unapologetic about what happened (Tim Grover says he wished Tiger Woods hadn’t apologized for his scandar). We’re all born bad, but taught to be good (ie. : born relentless and taught to relent). Tim Grover stresses how key it is to trust yourself. And of course a big part of trusting yourself comes from hard, constant work. Grover says you’ll reach a point when your body and mind reflexively know what to do all the times and then you can let your instincts take over. Then you can trust yourself to dominate any situation. Then you can stop studying the competition and make the competition study you. It doesn’t mean you stop learning, the greats learn everything and still never stop learning. But real learning doesn’t mean clinging to the lessons. The real learning Grover is talking about means absorbing everything you can and then trusting your inner self, instinctively and without thinking. Oprah once said, “Every right decision I’ve ever made has come from my gut, and every wrong decision I’ve ever made was a result of me not listening.” Exactly. Of course, she also spent twenty-five years doing a show for people who preferred listening to her instead of listening to their own gut, as she told them whom they should believe and what they should do and how they should change. Every day, millions of people showed up to hear someone tell them what they were doing wrong, so they could receive instructions on how to live according to someone else’s standards. Look inside of yourself and ask: how would it feel if you could let go of all the pressure and just be yourself? External pressure is one of the reasons many people don’t start what they finish. And finishing is the most important part. Anyone can have a great idea, but it’s what you do with that idea that defines you (Seth Godin in Linchpin calls it the race to completion VS the resistance). A Closer would think and feel about the idea (thought-heart). A Cleaner would put it into immediate action (thought-gut, total confidence in his gut). 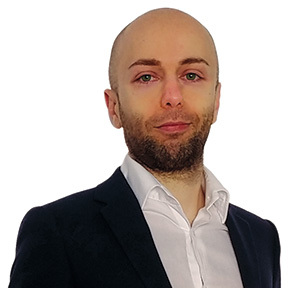 Tim Grover takes the example of Dr Jekill and Mr Hyde. Cleaners in the zone transform into their Mr Hyde alter ego, dropping all external and internal inhibitions to embrace their dark side and who they really are. And that’s where the ability to perform instinctively comes from. Tim Grover presents it as a fact that every highly successful or highly driven individual has -without exception he says- a dark side. It’s that dark side which drives their dominance, and it can be a fire to prove greatness, sexual energy or even insecurity. It’s different for everyone, but it’s deep inside where no one else can see it. The dark side is that part of you refusing to be ordinary, that part that stays raw and untamed. It’s that part you keep in the dark, craving things you don’t talk about. And you don’t care how it comes across because it’s who you are and you don’t even wanna change it. My Note: I find it fascinating Tim Grover also includes insecurity as one of the main driver to success. It’s funny as practically all self help literature only talks about how to remove your insecurity. It’s been my experience in life that some of the most drive people I have seen were, beyond their rougher external shell, deeply insecure and sometimes troubled individuals. But a Cleaner doesn’t give in to this urges -that would be weakness-, he controls them. When tales from the dark side become public, everyone usually sits in judgment and thinks, “He couldn’t control himself. Weak.” But it’s Cleaners saying that. Understand this: A Cleaner doesn’t want to give up the thing you disapprove of. For him it’s a strength, his choice. Weakness would mean giving up what he craved because he was afraid of getting caught. Cleaners often go to a place they call home to detach from the dark side. It’s the built-in safety valve. And that’s why so many men fight to stay in their marriages: that’s their safe sanctuary. Tim Grover has a nice take on those athletes who “step up when it matters” and says it’s not something positive at all. It’s like asking where were you all the other games, why weren’t you as good and effective before? Being relentless means working at all time for that result, not just on the last two seconds when drama is on the line. Tim Grover also has an extremely interesting take on the fear of winning. He says many are afraid of taking the last second shot because they might miss it, but because they might make it, and then the expectation is they’ll have to keep making it. Cleaners instead crave that pressure. They love its keeps them on their toes. They don’t want to relax. Relaxing for a Cleaner is what weaker people do. And now the funny part: put a Cleaner in a situation where they’re supposed to relax, like a vacation he didn’t want to take or a day off without working out, and he will become more stressed thinking about how he’s slacking. Tim Grover tells to his guys to run towards stress. Stress challenges you and keeps you sharp. You can’t have success without stress and your level of success is defined by how you manage stress. There’s an extremely interesting part in which Tim Grover says LeBron is not a Cleaner because he gives in to external pressure. Another player told the media LeBron can’t defend another player. LeBron refuses to comment, but later he did comment, and at length. That was typical Closer says Tim Grover: he thought about it, allowed it to become a distraction and felt the pressure to prove something. A cleaner would have put the pressure back on the guy getting under his skin by not acknowledging him. Indeed a Cleaner doesn’t respond to external pressure. They don’t feel external pressure because they are focused on themselves and on their own internal pressure. And they put so much pressure on themselves anything external barely register. Tim Grover here says that Cleaners often get the last call, the one coming when the emergency seems unmanageable. Many have already tried and failed to fix it, and now they’re calling for you. He says it happens to him every time when players arrive out of shape at training camp -thus implying he’s a Cleaner-. He says he will show up prepared and with something to offer, and he is 100% he can have a positive impact on any situation. And if that sounds like showboating, he says, it’s fine with him. A cleaner can go with any plan and be ready when things go off plan because his instincts will take over. It’s not about “positive thinking”, it’s about having done so much hard work beforehand that he knows everything there is to know. Do your thinking in advance, build your reflexes, and be open for whatever comes. A Cleaner has no problem admitting he made a mistake and taking the blame. He will look at you and say “I fu**ed up” (taking blame is also what great leaders do). A Cooler will give you excuses. And a Closer will blame someone else. And Cleaners will also come to you and openly tell you that you fu**ed up. To you it might feel like a sneaky attack, to the Cleaner it’s just how it works. Tim Grover says it’s a question of confidence: Cleaners have such high confidence they know they can make it right. I also like how Tim Grover goes into the “owning up” mentality. He says you should own not just your mistakes, but also all the bad choices you’ve done. That’s your reputation and if you want your opinions to have value, then you gotta own up to them in good and bad times. When you’re at the top it’s up to you to pull everyone else up with you. Some skilled players will lower their game or slow down so their teammates can feel more confident. Silly move: the only way you can light the people around you is by being on fire yourself and the only way they can catch up is if you show them how it’s done. Two more things I found interesting in the chapter: Michael Jordan said the team was his supporting cast, which I’m not too sure how well it played in reaching the final goal of success. And the other one is that a Cleaner, inside, never forgive and never, ever, forgets. Tim Grover chastises big words in the self-help business such as “inner drive”, “passion”, “half full glass”. “follow your passion” makes no sense, he says, what about “work on your passion” instead, excel at it, demand to becoming the best at it and then follow through. And if you’re talking about “glass half full” you’re engaging in mental masturbation instead of deciding and getting down to it. My note: this reminded of Grit by Angela Duckworth which explains that you indeed build your passions and become a master while you learn to love your discipline. Tim Grover is very caustic here of pundits who encourage people to “visualize” as visualizing doesn’t make it a reality. My Note: Tim Grover seem to mock the very hip “Law of Attraction” here, which is basically telling people to visualize things to make them a reality (see Conor McGregor using the Law of Attraction). A Cleaner doesn’t waste time: he makes a decision and sticks with it. Say Grover: figure out what you do, then do it. And do it better than anyone else. It doesn’t matter what you have been given or what you were born with. It’s what you do after that gives you the privilege of saying you did it. Of course, the more gifted go to the top faster. And? That’s not an excuse for not reaching as high. I also like how Tim Grover underlines how most people are looking for quick fixes, for the elevators of life rather than the harder stairs. He also says hard work is not a skill, it’s what will get you to the top and everyone can do it. A Cooler is liked, a Closer is respected and a Cleaner is feared. You don’t need to fit in, it’s better to stand out. You’re not there to make friends, you’re there to be the best, and you’re not afraid to show it. Cleaners view people as tools and are careful in putting them in the right position, which is the position that will allow him to win. Once they have a great team in place, they stay committed to it. Don’t get it wrong though, Grover warns, being feared doesn’t mean being a jerk, it means people are in awe of what you do and how you do it. Cleaners always trust themselves the most. They do have a small circle of people they trust and believe in, and those better not let them down. A Cleaner just says no. He doesn’t sugar coat it, doesn’t make excuses and doesn’t offer explanations afterward. Explanations are a way of saying you’re insecure and you’re trying to defend your choice. Cleaners are not perfect, sometimes they make mistakes too. If you want to be valuable in his circle, be the guy who looks at him straight in the eyes and tells him what all others are afraid to say. He might hate it and even hate you for saying it, but he will respect you and trust you. I love it when Tim Grover draws parallels between his definition of a Cleaner and the Ultimate Cleaner which is.. Can you guess? The Godfather. Like The Godfather, Cleaners keep it quiet and intimidate their opponent by not saying a word. When people make big shows of what and how they’re going to do, they are actually trying to convince themselves. But the loudest guy in the room is the one with the most to prove. 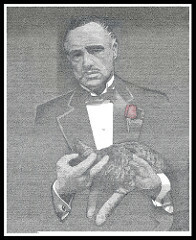 Here’s a full article on the “quiet dominance style of the Godfather”. Cleaners don’t stop until they achieve their goal. Tim Grover says that when people tell you you failed what they really mean is that they, in your shoes, would feel like a failure. Well, you’re not that guy, and you stop when you say you are done. Don’t try. Do, or don’t do. And if you do and it doesn’t work, do it again. Coolers and Closers love a celebration. But Cleaners don’t celebrate because they always want more. Everyone will tell him he did great, but external approval means nothing to a Cleaner because he only heeds his own standards, which are far above anything anyone can possibly set for him. Even in victory the Cleaner will think how he could have done it better, smarter or any different way than he actually did. And that’s the difference between great and unstoppable: the drive to close the gap between “almost perfect” and “perfect”. Tim Grover says the greatest battles you will ever fight are with yourself, and you must always be your toughest opponent. Always demand more of yourself than others demand of you. Your dreams are nothing but your instincts. Don’t wake and forget about them. Chase them instead, let them take you where you want to be, make them happen. 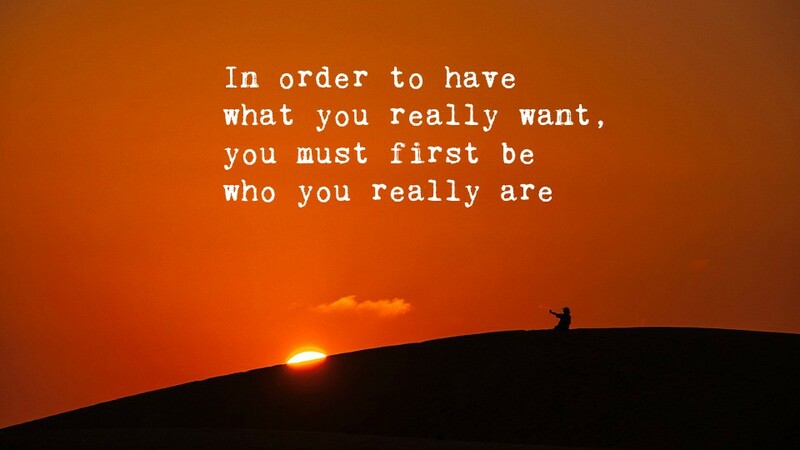 Everything you want can be yours. Be a cleaner and go get it. Don’t the do-gooders influence you: don’t try to repress your dark side. Don’t force yourself to forget and forgive, to give the other cheek. Use your anger to fuel you! 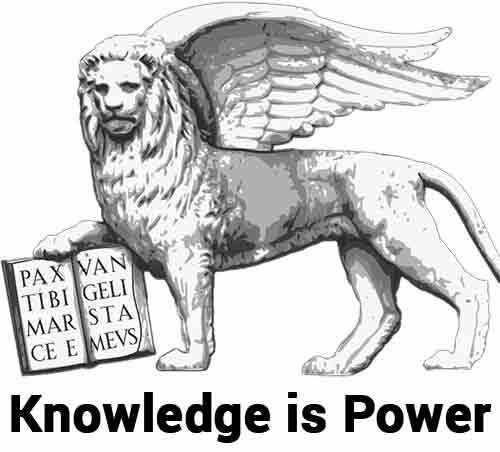 Once you know your stuff, do let go of fear and studying the competition and embrace your inner daemon. Let your inner fire drive you to victory. Tim Grover’s gym is doing great. So what? Relentless by Tim Grover spends too much time attacking the people who criticized him and rumored his gym was a failure. That was a low, low point in the book and very unnecessary. It’s a real pity because the rest of the book is spectacular. Tim Grover says that people don’t change. We don’t buy that. Relentless is an amazing book. I disagree the end result should be your sole and final yardstick because you should build your self esteem around something you fully control. And that’s not always the case for the final result (same as Extreme Ownership). I think insecurity as dark side is not your best option or at the very least you should keep it very limited and stress, which Grover at times seem to glorify, should be moderate -research shows moderate levels are helpful, too much is not-. Don’t worry too much about your competition. Focus on being unstoppable instead. Most powerful concept of the whole book, and it was a huge realization for me since I have grep up with the idea of “forgetting and moving on is superior”. It can be, but also harnessing the power of anger and revenge and potentially hitting back can be great options. LOL thanks Max, with Relentless you will get both an entertaining writing style and great content all in one. Cheers!